Third seed and seven-time former champion Roger Federer performed one of his greatest escape acts on Wednesday, saving three match points to come back from two-sets-to-love down and beat ninth seed Marin Cilic 6-7(4), 4-6, 6-3, 7-6(9), 6-3. Federer moves into the Wimbledon semi-finals for the 11th time and will face Milos Raonic, who beat American Sam Querrey 6-4, 7-5, 5-7, 6-4. The Swiss star leads their ATP Head to Head series 9-2, including a 2014 Wimbledon win. But Raonic took their most recent match-up 6-4, 6-4 at Brisbane International in January. And coming through without any physical issues has raised the 34-year-old's confidence ahead of a semi-final against Raonic. “My legs and back were there and serving was key, plus mentally this will give me a hell of a boost,” Federer said in his post-match TV interview. “I am really ecstatic I was able to make it into the next round. “I think the last three sets I played really good. It is really encouraging to see I was improving and I was able to sustain a really high level. A lot happened out there. It was nice to play in these conditions and against Marin. He is such a wonderful player and I knew I was in so much trouble in the third set and in the fourth,” continued Federer. 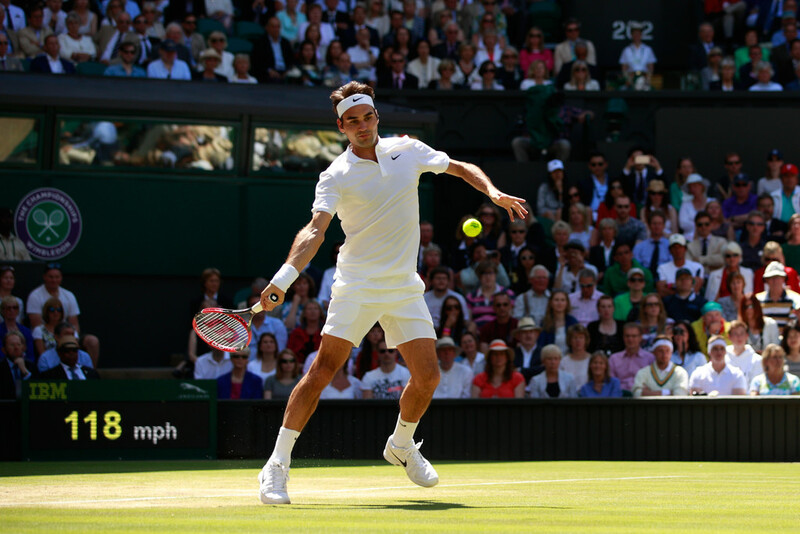 With the win, Federer tied records held by Jimmy Connors for most semi-final appearances at Wimbledon (11) and most match wins at the grass-court major (84). He also set an all-time new record for most Grand Slam match wins at 307, passing the record previously held by Martina Navratilova. Although reaching the final four at Wimbledon has become customary for Federer, it was hardly a guarantee when he arrived in London. The third seed suffered semi-final losses on grass this year to Dominic Thiem in Stuttgart and Alexander Zverev in Halle. Having already been forced to miss Roland Garros this year due to injury, Federer’s run this fortnight came as a surprise even to him. “I was very worried coming here,” he admitted. “This is huge for me. Epic. Because of the season I’ve had, it’s wonderful to win a match like this, test the body, to be out there again, fighting, being in a physical battle and winning it - it’s an unbelievable feeling. “Sometimes when you’re two sets to love down, the mountain to climb is so huge it’s monstrous. But I had great focus, and I did believe. It's not a fake belief, it's a real belief that you need to have in those moments. I fought, I tried, I believed. It was great on so many levels. The comeback win marks the 10th time Federer has overcome a 0-2 sets deficit in his career. “I've had some good comebacks. This one is definitely huge because it's Centre Court at Wimbledon. Still gives me the chance to win the tournament. This is a big one. Probably not the biggest, but a big one,” said the Swiss. “I cannot believe Roger Federer won that match. Unbelievable tennis. How did he get out of that?” gushed American great and Raonic's coach John McEnroe. Cilic was dictating nearly everything during the first two sets. 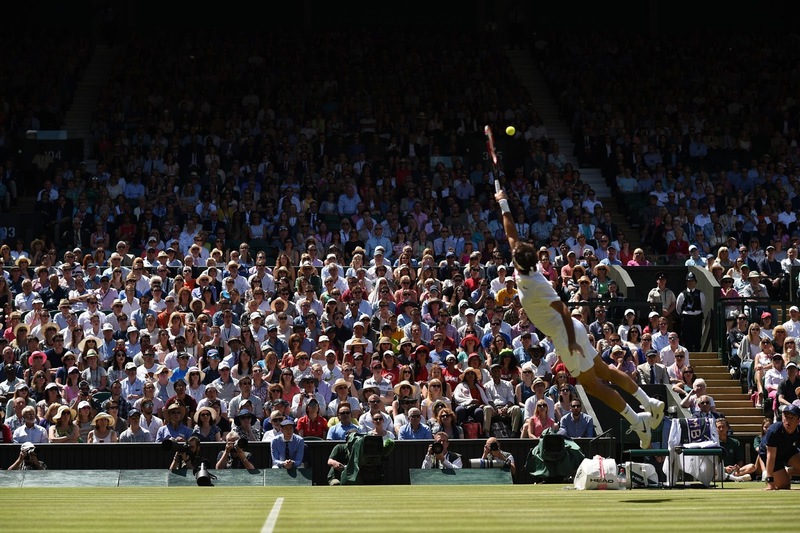 The 6'6” right-hander was landing booming first serves and seizing play with powerful groundstrokes. Cilic won 87 per cent of his first-serve points and hit 12 aces. The 34-year-old Swiss largely had to play defensive tennis and struggled to get into the biggest points. Federer was 0-3 on break points during the first two sets. But serving at 0/40, 3-all in the third, Federer somehow reeled off five straight points to hear the roar of the Centre Court crowd, which had been waiting for moments to scream. During the next game, Cilic double faulted on break point and Federer had his first break. A game later, he had clinched the third set. In the fourth set, Federer seemed to be moving better, serving and volleying and forcing the issue against Cilic. But the Croat regrouped and hung with the Swiss star. Cilic even earned three match points but failed to convert any of them. On two of the match points, he saw a Federer second serve but couldn't put either ball in play. The two played an enthralling tie-break that saw Federer erase one of those match points and witnessed Cilic save four set points. But the seven-time champion evened the contest on his serve after 20 points. In the fifth set, Federer broke Cilic at 4-3 and served out the set and the match, ending the memorable contest with two aces. 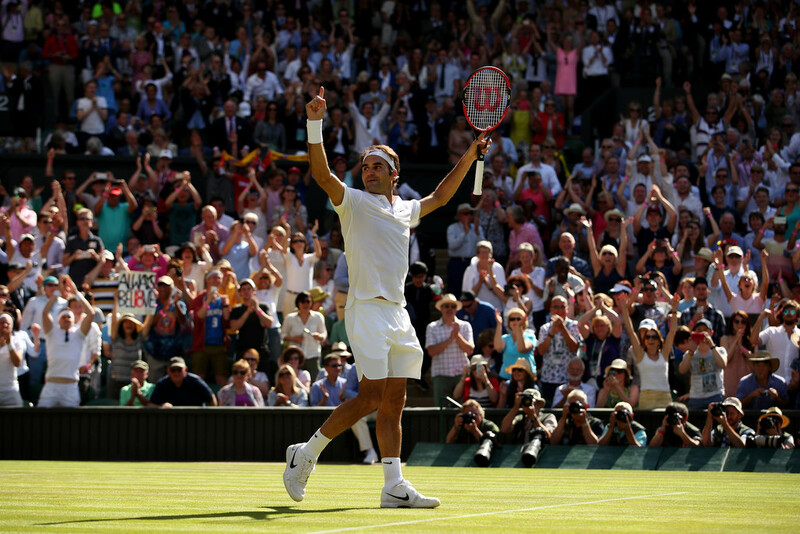 Federer fired 27 aces and 67 winners to avenge his semi-final loss to Cilic in the semi-finals of the 2014 US Open. At 34 years and 336 days, Federer becomes the oldest man in the Open Era to reach the Wimbledon semi-finals since Ken Rosewall (39 years, 246 days) in 1974.